Fake eggs are still going strong in China, despite the hilarity of it all to people outside of the Mainland PRC. In the few English-language sites that have picked up on this story, the whole idea seems absurd. The major theme across the English-language sites is Hoax! mostly due to the small profit margin to be made and perhaps just the sheer comedy of making fake eggs for a living. Danwei.org published a small report in 2004 and several blogs reported on fake eggs such as The Raw Feed and Chinaview (in 2007 and 2006), but a look at the stories from Chinese language sources (below) show that the problem is still there, if not bigger than before. Additionally, most of these “ads” and reports are dated 2009. I wish I could laugh along with you, but unfortunately I love eggs and live in China. The profit margin for fake eggs, estimated at USD$70 per day, is more than enough for the common Chinese to engage in the business and there’s nothing China’s poor won’t do to get ahead. The list of faulty (or deadly) products coming out of China is long and will continue to lengthen for some time to come. It’s simply a matter of economy and history. Knowing this, I have decided to give up eggs for a while. A cursory search of Chinese language news sites brought up more than 8,000 hits for “man-made eggs” including numerous news reports, instructional videos and most galling of all, dozens of ads for training manuals for interested entrepreneurs. 18Dao.com thoughtfully put together a collection of information about man-made eggs in China, including videos and pictures. The English translation follows the original Chinese text, which from here on will appear within grey boxes. 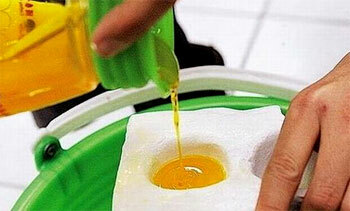 Man-made eggs: using man-made materials to make chicken eggs. An Insider’s Report: In order to tell the difference between man-made and natural eggs, the first method is to inspect the shell. Man-made eggshells are particularly shiny and if the egg is opened, the egg white is not as sticky as a natural egg and is easily mixed in with the egg yolk. There may also be a light chemical smell coming from the egg yolk/white, whereas natural eggs have a fresh smell. 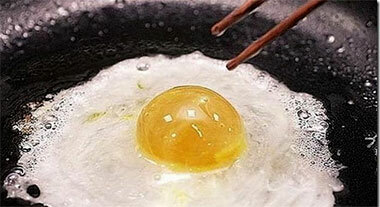 A man made egg has a cost price of 5 fen (1fen=0.01RMB — 1USD=6.83RMB). The lowest sales price found is 2jiao (1jiao=0.1RMB). One person can manufacture aprox. 1500 eggs in one day. 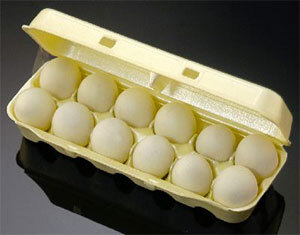 An Insider’s Report: Man-made eggshells are made from Calcium Carbonate (CaCo3). The egg whites and egg yolks are made from the following materials: Alginic Acid, Potassium Alum, Gelatin, Calcium Chloride (with water) and artificial coloring. Man-made eggs are manufactured with chemicals, most importantly through the calcification of Alginic Acid. (Editor’s Note: The actual formula described above for Alginic Acid is C6H8O6 + some form of Na, which we were unable to locate. If anyone has an idea about this particular molecule, feel free to add a comment!). Man-made eggs are basically solidified gel. Most of the ingredients are additives that are regulated under Chinese law. None of these additives have any health benefits; man-made eggs cannot be considered a viable alternative to natural eggs. Many of the ingredients involved in the manufacture of man-made eggs come in industrial and commercial forms. Considering the extremely low cost price of man-made eggs, it is uncertain what form of these additives the manufacturers are using. Research has shown that long-term consumption of man-made eggs can lead to memory-loss and dementia. Check out this Health News Sohu story written by a journalist for the Qilu Evening News in Shandong, March 27, 2009. In this story, the journalist follows the trail of one of the ads to a man in Shandong who claims to be the “Father of Man-made eggs”. 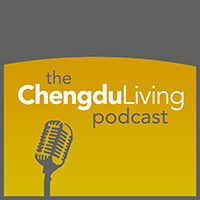 The man, never named, tells how he charges 800RMB (US$120) per student. In his classes, the “Father” teaches how to make the egg-shell (the most important part of the process) as well as the yolk and white. According to the report, the man has taught college graduates as well as peasants and enjoys a comfortable living — safe from the authorities or anyone else — teaching down and out Chinese how to make fake eggs and get rich. “? ?????”?????????????????????????????????????????????????????????????????? ???????????????????????????????????????????“????????”??????????????20?? ??????7?????????????????????????????????????????????????3~5?????? 0.22~0.38??????1800?????330???????????????????????????????????????????? ??????????????????????????880????580???????????????????????????????????? ????????? Man-Made Eggs a path to riches! … Total cost for one-on-one training: RMB880; or RMB580 for a manual and a set of equipment for eggshells, egg whites and eggyolks as well as manuals for man-made beef, chicken and five other manuals for man-made products. Technical secrets are under copyright and any dissemination without permission will be punished! ?:????,??????????,??????????????:1.?????:????????????????????????(???)?? ????????????????????????????????????????????????.2.?????:???? ?, ???????. ????????????????????. 3.?????:?????????,??????????????????????????.4.?????:??????????????????? ??????,???????????. Below is an excerpt from a rather lengthy ad which you can read in its entirety here. Question #9: What are the special benefits of your company’s egg manufacturing process? In a word … this is a new method which will help you grow rich! It’s important to understand that in developing countries like China, India, and most of Africa, the idea of “bad money” doesn’t exist. When you’re hungry, desperate, and competing with a billion other people, anything goes. For people living in the developed West, there is no justification for lead-based toys, weak steel or man-made eggs, but in the shark-infested oceans of newly capitalist countries like Russia and China, there is no justification for not corrupting oneself to get ahead: ethical behavior will get you respect, even as you drift away into insignificance. I really cant believe the fake eggs….. I just wanna say,Chinese can do anything they want …. 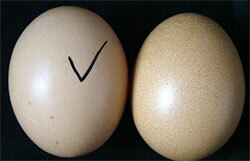 Pingback: The Case of an Egg’s Mistaken Identity « Ituhog ang mga Palayok! No one knows. You should make a fake egg omelette and report back! i don’t like china as well they are good in bullying small country like philippines claiming the some island belongs to them like the Scarborough Shoal even if it’s under the 200 nautical mile limit. They are also good in creating poison like the one that they did on the MILK with MELAMINE, many children died because of that, authorities in Korea also discovered fake medicine made out of human fetus, as indicated on the test there are harmful bacteria on the powder inside the capsule. In short, they are good in making harmful things, very greedy people. I am having difficulty in determining whether the fake egg story is, in fact. real. Can you supply some governmental website or similar which has information regarding this issue? I always have a hard time believing what the Government/news tells people here. Just watch cctv9 for awhile but here’s a report from ShaanXi that came out several months ago. Google translated it pretty well I think. This is anecdotal but I believe it’s relatively common knowledge among educated Chinese urbanites that fake eggs exist. I’ve heard them alluded to by people numerous times in normal conversation. Yeah I know but the thing the way rumors spread here. It seems like if more than 3 people say the same thing then it’d taken as gospel by everyone else. That being said I usually buy my milk and eggs from the more expensive Korean stores in the area. True, good point. A few weeks ago everyone was scrambling to buy table salt because of the Sendai earthquake. I’ll be in Chengdu next week anything really good to do with a 2 1/2 year old there? 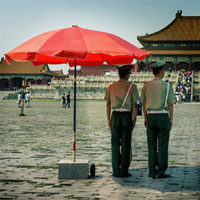 China is a big country and there is nice people but now a days in china is culprit. $70 a day is big money in the US, too! The ingredients don’t sound harmful, but it probably tastes really “blah” and you’re not getting protein etc. We have millions of workers in the US who don’t make anything near that. yeah $70 is more than enough for people here to do pretty much anything. college cash for kids anyone? I don’t buy it. The other calculations in the same text suggest a profit nowhere near $70 making 1500 eggs per day, if taken at face value. The biggest material cost would be sodium alginate. I’m going to call each egg 45 ml in volume. This times 1500 eggs gives a volume of 67.5 liters. I would say, by referring to a recipe using alginate spherification that you should need about 4 grams of alginate per liter. 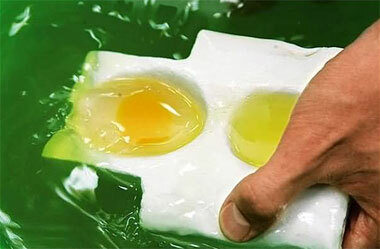 However, the real purpose of the alginate using the method shown is to make the skins around the egg yolks & the egg whites so the real requirement for this is at least 10 times the volume of the egg material meaning we’ll need an alginate bath of 675 liters for a total alginate requirement of around 7.7 kilograms. 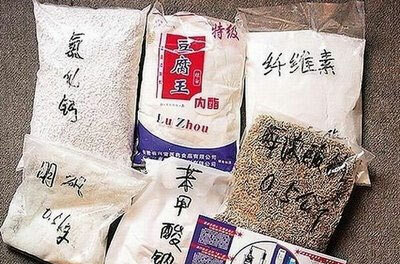 The lowest price on a quick search of AliBaba was for 3700/ton or $3.7/kilogram . You might be able to get it cheaper in China but you wouldn’t be likely to be buying it many tons at a time so I’m going to assume it all evens out and that makes for about $10 in cost for alginate. Gelatin is about the same but muck less is used so we’re talking cents here. I doubt it even adds up to a dollar. CaCl2 is an order of magnitude cheaper and you are using an order of magnitude less (and this is pricing for food grade) so we might as well call it free. So we have $10 in cost for 1500 eggs for 0.0067 dollars per egg. Taking $0.0067 * 6.83RM/USD gives 0.046RMB which is close enough to to 5 fen (I probably lowballed the alginate & essentially called everything else free) that I will consider that part of the story to not be falsified (much to my surprise, actually). However, if we do the easier math from here on we do not come up with $70. The lowest price per egg is 0.2RMB and the material costs are 0.05 so that leaves 0.15RMB of profit per egg times 1500 eggs gives us a total profit of 225RMB or 225/6.83 $33. That’s still not bad for China. As to the 1500 eggs made in a day, that would mean 150 fake eggs manufactured per hour (assuming a 10 hour workday) or one egg every 24 seconds. My question would be whether anyone shown in any of the videos purporting to show how this is accomplished would seem capable of creating 1 egg every 24 seconds? I think the answer to this question is a resounding no. So 1500 eggs per day in reality turn out to be at most half that (assuming extremely efficient assembly line techniques) and at worst much fewer than one 10th that number (so our wonderful daily pay might become $3-$4 for the whole day or less). I’ll also make a couple more notes. The graphic purporting to show a frying alginate egg does not seem credible to me. I do not believe it represents how that material would behave (I don’t believe it would hold together under heat). What I do believe it represents is the behavior of a salted egg as you might find in China. In such eggs, the white becomes runnier while the yolk becomes firmer and holds its shape. The yolk also attains a clearer looking appearance (almost jewel like). Note in the fried example how the very runny white produced a thin cooked white and how the yolk held its shape. One last comment is regarding the reported high profits. It sounds like at least some of these reports of high profit potential come from advertisements promoting “easy money making opportunities”. I am certain that everyone has run into these sorts of advertisements at one point or another. The people who place those ads are intending to separate aspiring “entrepreneurs” from their money by selling them special knowledge (how to make fake eggs and profit). It is in their interest to oversell their product (the knowledge) and I would propose to you that they do. They cannot charge high prices for knowledge which is only valuable for producing a not particularly profitable novelty. Hey August, this is an OLD article and I believe the fake egg craze – like so many other get rich quick schemes out here – may have died down. There is still a lot of fake beef (wtf) and other things that boggle the mind … but thanks for the numbers and analysis, it may just be that this entire thing was BS from the start, and I just got pulled in. But I remember chuckling out loud while writing this, as I myself found most of it to be ridiculous. Hope that came out in the text. Why not just keep more chickens? Looks like you can make these fakes in your kitchen with very small set up costs. Keeping chickens costs money, and then you need to keep them healthy and safe and feed them, then replace them when they get old. Fakes seem like pure profit comparatively, I reckon. what’s next?…. make a fake chicken that lays fake eggs? sheeessshh.. what’s with these people now. That is probably coming next, yes. So they make fake chicken and lay fake eggs it’s like fake in the fake so you can fake something while your’e fake thing (yo dawq). What happen if the (fake) egg is boiled? Will it look, smell and taste the same as real boiled egg? i am in taiwan..yesterday i bought some eggs .. and after breaking one i found that there is no smell of raw egg in it .. and it is also watery .. i think it is fake ..can you people please let me know more about how to recognize a fake egg? i am gonna go to the shop !and also thinking of notifying health department taiwan .. thought dont know if anything fruitful will come up or not ! I know this story sounds silly, but I believe it, because crime doesn’t have to make sense. Remember the old couple and the jello pudding? “Alexander Clement, 68, of East Northport, N.Y., would drive his wife, Christine, 64, to a local supermarket, where she would stock up on boxes of Jell-O pudding. Then, when they got home, Christine would empty the contents of the boxes and replace them with bags containing a mixture of sand and salt. Then the couple would reseal the boxes and return them to the store for a refund. I’m a Canadian living in China now, and I’m sure that we encountered a fake egg. My husband was advised not to eat this egg by his work colleagues because they believed it was fake. We inspected it closely, and found that the shell was perfectly smooth and had a slight sheen to it. When we compared it to some eggs we had bought from the corner supermarket, we noticed that those eggs had “grittier” shells and traces of chicken poop on them. From now on, I think I’m going to only buy eggs that have poop on them to be sure that they are real. Surely the fake egg makers won’t resort to adding fake poop as well (we hope). We threw out the fake egg before cracking it open, but now I wish we had just to see what it was like inside. Wow, fake egg spotted! To my knowledge, none of us have actually had a confirmed sighting. If you see another one, that would be awesome if you could take a photo to share with us. Thanks for your comment Michelle. I live here and honestly anything and everything goes. If you think fake eggs are bad…read up on the illegal (yet somehow tolerated) market for eating baby fetuses… This is very real and many will tell you about it. I think the equation is quite simple. People – God = lack of moral and values. this effort can be made in the production of chicken,that is wise for the Chinese. What’s going on……? Is it helpfull to people? If not,please take step to makers of it.I’m saying it to the chaireman of UN. Yes, have you watch “Surogate” maybe that will be our future. Get chickens if your worried about it. I have 3 and endless (REAL) eggs. The eggs also are better and more nutritious then store bought eggs. Fake food is disgusting. Whats wrong with people. You have three chickens? Where do you live in China? I live in the U.S. However chickens do not need much room. You could easily house 2 in a 4×4 area. Holy cow I came back to this article and I think I’ve been eating tons and tons of fake eggs. They are the cheapest eggs you can find in one of these veggie markets. The egg white is really fluid, it doesn’t stick at all. It looks more like water, and the yolk is really pale. They also don’t really taste that great, but I’m a nit and I’ve gotten used to it. I eat over 30 eggs a week. Every time I order scrambled eggs with tomato in a Chinese restaurant it reminds me of how awesome eggs are supposed to taste. Could it really be that I’ve been eating fake eggs for months straight? Or just coincidence? Buying the cheapest eggs in a random vegetable market sounds like the most likely scenario that you could possibly concoct to encounter fake eggs. I’d at least go to 好又多 or a chain store like 红旗 to buy eggs. Somewhere that could possibly be held accountable for selling fake eggs. Can you share a photo of what the eggs look like?